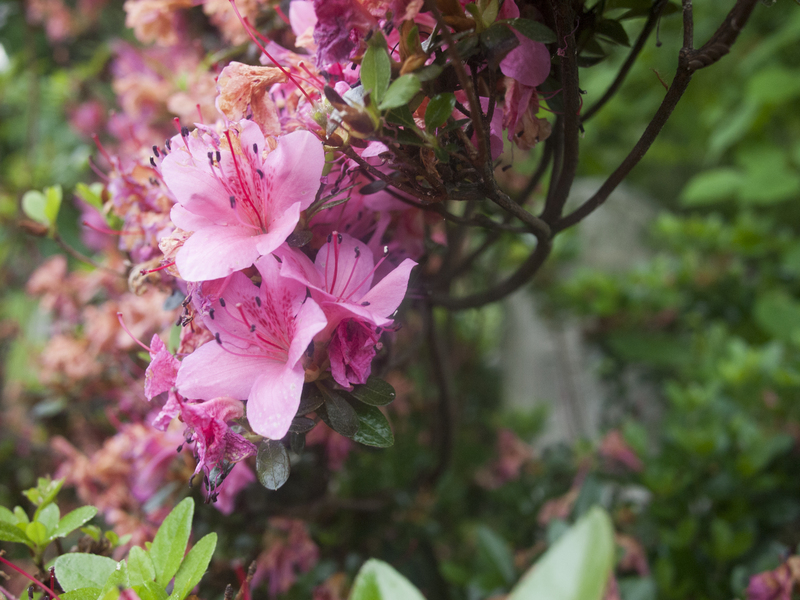 Even dying azaleas pop against the greyness of the tombs, 28 May 2014. 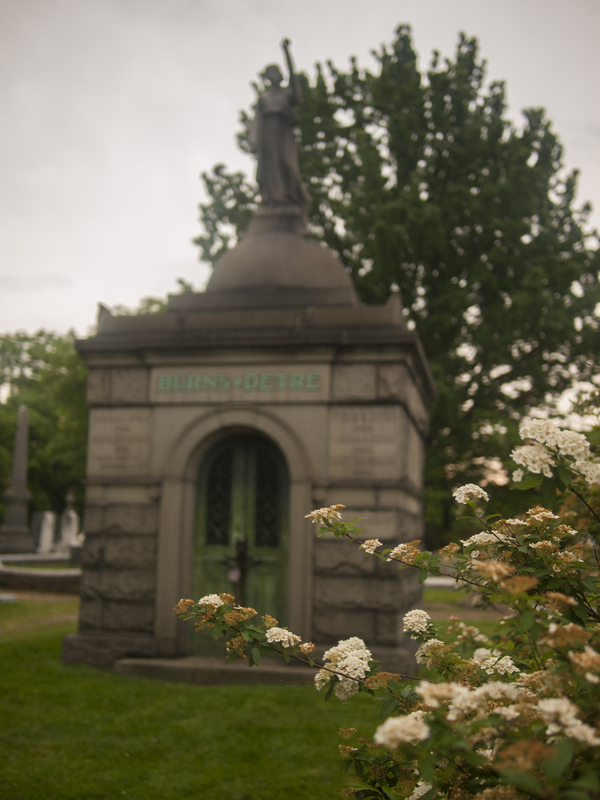 Burns + Detre Mausoleum, 28 May 2014. 10 Jun	This entry was published on June 10, 2014 at 1:19 pm and is filed under Architecture, Historic Preservation, West Philly. Bookmark the permalink. Follow any comments here with the RSS feed for this post.